Our annual event honors individuals who have made a substantial difference in people’s lives around the globe through their humanitarian efforts. 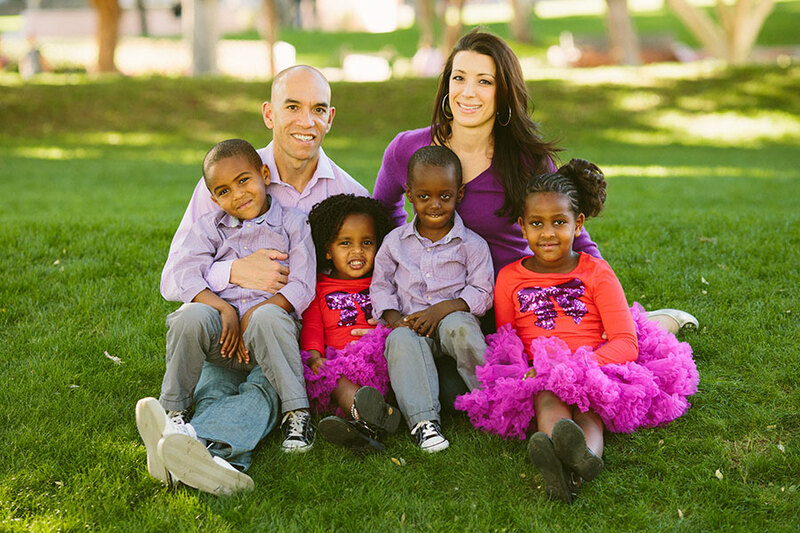 Four outstanding humanitarians will be honored at the “Making a World of Difference” gala planned at Tempe Center for the Arts on Thursday, October 11, 2018. This is Tempe Sister Cities’ way of thanking and honoring humanitarians who bring hope and comfort to deserving people worldwide. Everyone is invited! Click Here to Register for the 2018 "Making a World of Difference". See more information about each of these outstanding honorees below! We invite you to join us as we salute them...to support their charities...and let light shine on the humanitarian spirit that dwells in all of us. Tempe Sister Cities 12th Annual "Making A World Of Difference"
Details: Meet and Greet 6:00 p.m. Dinner to Follow. Dressy or Business Attire. or you can reserve by calling Tempe Sister Cities/Hackett House (480) 350-8181. Anyone wishing to sponsor a table for the banquet may call Jane Nueheisel (480) 838-0437. Please RSVP by October 3, 2018. MEET the 2018 "Making A World Of Difference Honorees!" growth and sustainability. In 2016 Connie’s team began building a secondary education boarding school, the St. Thomas Aquinas College. When completed the school will have four classrooms, a dormitory, a multipurpose hall, a chapel and restrooms. It will have the capacity to educate some 800 students and will also help nearby villages by providing food from the college farm, education programs about disease prevention and treatment (Aids, Malaria) and clean water from the school well. 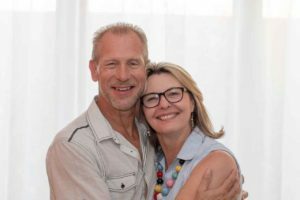 Michael & Michelle Tessendorf- of Chandler, Arizona, founded Orchard: Africa more than 25 years ago in Mafikeng, South Africa, as a way to feed hungry children seen rummaging through the city garbage dump searching for food. Over the years they have expanded the program from a church-led feeding project for 30 children to a network of some 600 community churches and 100 funded programs that reach across sub-Saharan Africa. The program works through the local churches by training local pastors and staff with ways to provide education for children of all ages; to develop gardening and agricultural programs for growing food; and to provide compassionate care for orphans, the sick and the elderly. These programs address the many challenges brought about by extreme poverty and today are providing a channel of hope and sustainable change for thousands of families. where they will be given to a child in need. Come hear her inspiring story. Making a World of Difference awards began in 2006 and has honored worthy humanitarians based upon their world-changing ideas and experiences. an organization that conducts medical and dental missions to Central and South America through cooperation with volunteer doctors, nurses and dentists…. who bring medical and dental help to remote areas of Mexico and Central America. 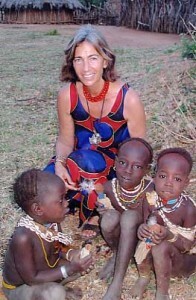 Sister Marilyn Lacey - In 2008 she founded Mercy Beyond Borders (MBB). C. Mead Welles… “A Leg to Stand On” (ALTSO) *was traveling in Indonesia when he looked out a window and saw three underfed and exhausted boys. Two were pulling the third boy on a garbage can lid. This boy’s leg was deformed, raw and bleeding, and he could not stand . His knuckles, also bleeding, showed that he had also been pulling himself around. 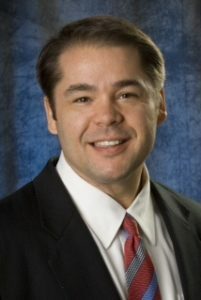 This sad incident propelled Mead to found “A Leg to Stand On” (ALTSO), an organization that provides free prosthetic limbs, orthopedic devices, mobility aids, surgery and care to children in the developing world who have lost limbs or suffer from congenital disabilities. Since 2002 ALTSO has transformed the lives of some 12,000 children in parts of Africa, Asia, the Middle East and South America. Maria Keller… was a little girl who loved to read. When she was eight years old she learned that some children in the world did not have books to read. She vowed she would collect one million books in the next 10 years and distribute them to children in need. She has already collected more than one million books and distributed them to hospitals, shelters and orphanages in America and several countries…and she just turned 14! 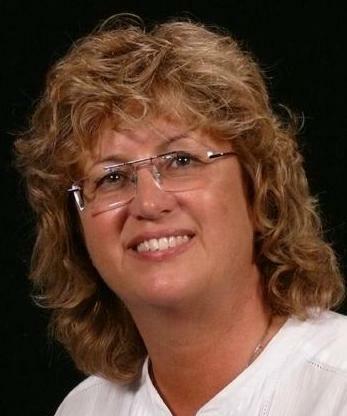 She is traveling from Minnesota to attend the event and has been invited by Changing Hands bookstore to address children in several schools and to be a keynote speaker at a teacher appreciation event. As we go to press a book drive for children’s books…to be distributed locally…is in the planning stages. 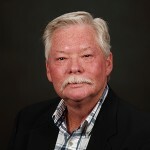 *Dr. Henderson is Associate Dean of the Barrett Honors College and Professor of Engineering at Arizona State University. 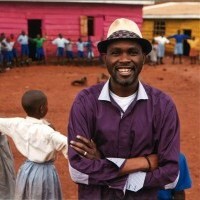 He is co-founder of several global design initiatives including GlobalResolve, a program that provides design and entrepreneurship opportunities to students by involving them in worldwide technological projects that directly improve the lives of underprivileged people in developing countries, especially in the areas of energy, clean water, and agriculture. In the past year, GlobalResolve has involved over 200 students doing 40 projects in 9 countries including Ghana, Peru, Mexico and Arizona. Several of Dr. Henderson’s students will showcase their projects making an impact globally. 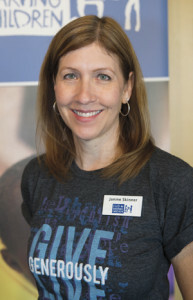 Henderson works closely with the Clinton Global Initiative, and student change agents in Changemaker Central -- ASU’s initiative to empower student innovation and activism to solve national and global challenges. For example: a GlobalResolve student team originated a project to support and educate subsistence farmers in Pumamarca, a small village near Cusco, Peru, (our sister city) about the use of biochar to radically increase crop yields. From this, GAIA, International was born, and its founder, Kathleen Stefanik, participated in this spring's Clinton Global Initiative University conference and is continuing a partnership with Chelsea Clinton’s organization. Stephen Annor-Wiafe, a MasterCard Scholar from Ghana, has started a venture in his home region to improve palm oil production and increase the market share for small farmers. And Michelle Marco, a change agent from Changemaker Central and president of the GlobalResolve Club, began a continuing project that included a group trip over spring break to build a greenhouse and improve living conditions in an orphanage in Peru. 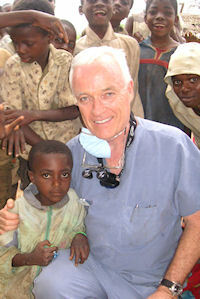 Dr. John Gillan – Dental Missions Abroad Dr. John Gillan, Mesa-based Endodontist, has conducted and personally financed some 26 dental missions abroad... helping the forgotten and underserved. He brings his own supplies, including books, to share with professors and local dentists. He goes where he is most needed and treats patients “in the bush.” Dr. Gillan has made two trips to Romania, 16 trips to Kosovo and six trips to Cameroon. 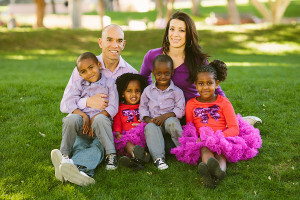 He is helped and supported by his wife Cindy and children who have accompanied him on most of these missions. In 2009 he received the Medal of Gratitude from the President of Albania for his help educating Albanian dentists. 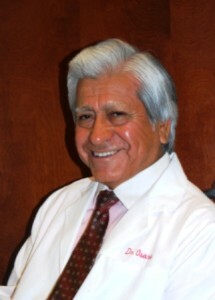 He also received the Spirit of Service Lifetime Award from the American Association of Endodontists. The Gillan family treasures the many friendships they have made over the years as they continue Making a World of Difference. 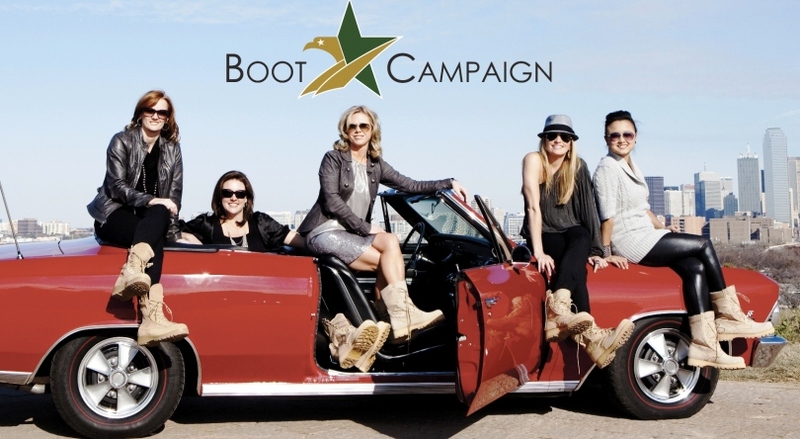 Five professional women from Texas created "Get Your Boots On" as a way to honor and assist injured veterans as they return from combat assignments. Because there are more than 1.4 million Americans serving in the U.S. military these women want to see an equal number of Americans in a pair of Boot Campaign "give back" boots. The campaign provides a way for people to show support for troops (both past and present). Proceeds benefit partner charities that assist returning veterans dealing with Post Traumatic Stress Disorder and varying degrees of physical injuries. Many celebrities are now wearing "the boots" and helping with the campaign. To help the "Boot Girls" continue to make a world of difference, their signature boots can be purchased at www. bootcampaign.com/bootgirls. 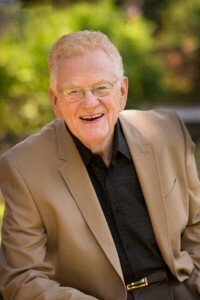 This popular pastor has served the Tempe, Arizona, community for decades, helped found two of its largest churches, and has been instrumental in many international missions as well. He has traveled the world assisting in establishing hospitals, schools, clinics, and orphanages. 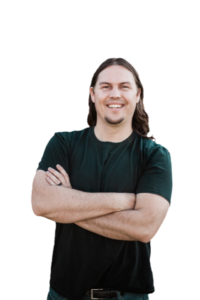 He has served on the boards of Food for the Hungry, Samaritan's Purse and World Medical Mission, Assist International, Anoor Sanitorium in Mafraq, Jordan, Ling Liang Schools in India, and Global Outreach. 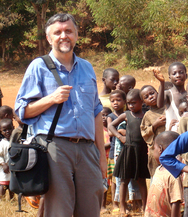 He has been instrumental in recruiting and sending short term volunteer medical teams to many third world nations, areas of natural disasters and war-torn areas of civil unrest. 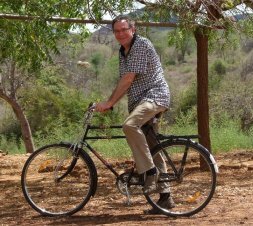 While at Grace Community Church in Tempe he inspired the congregation to participate in various projects including sponsoring a one-year program building more than 100 church community centers in villages and towns in India with schools, clean water and health education programs. 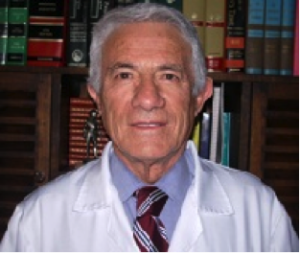 In addition, Guy was instrumental in establishing and supporting hospitals and/or clinics in the Ivory Coast, Lebanon, Jordan, Angola, Ethiopia, Kenya, and Taiwan. 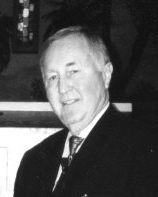 He helped establish orphanages in Eritrea, El Salvador, Egypt, Taiwan, Mexico, and India. He has raised funds for buildings and student scholarships for three schools in Calcutta, India, with more than 2,000 students serving families in the inner city, the poorest of the poor. Although he has just celebrated his 80th birthday he is not slowing down. He is currently committed to a plan for training and development to help the people of Cuba. 1n 1980, Frank and his coworkers and the Arizona Department of Safety helped a dying seven-year-old realize his dream of being a being a policeman by arranging rides in a patrol car and DPS helicopter and presenting the boy with a custom highway patrolman’s uniform. After the boy died, Frank and four others started the Make-a-Wish Foundation to grant the wishes of terminally ill children. In Arizona, the foundation has granted wishes to over 3,000 children since 1980 – almost 200,000 kids have been served worldwide. 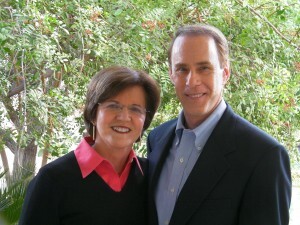 Tempe residents Barbara and Don Leim are well known for their passion for volunteer activities, especially their devotion to Friends of the Orphans, a fundraising organization dedicated to improving the lives of orphaned, abandoned and disadvantaged children through Nuestros Pequenos Hermanos (Spanish for “Our Little Brothers and Sisters”). This organization houses impoverished children throughout Latin America, the Caribbean, and South America, providing stable group homes where they receive education and a loving support system. 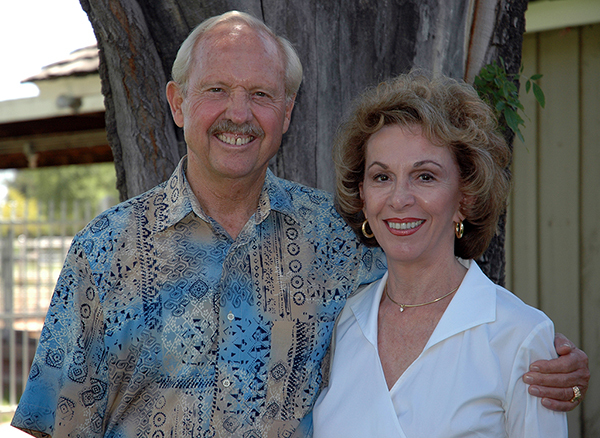 Barbara and Don first became involved in 1973 when they traveled to the home near Cuernavaca. 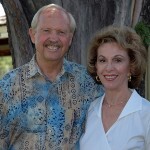 Through the years, Barbara and Don have raised literally millions of dollars to benefit Friends of the Orphans. Former pequenos are educators, doctors, accountants, carpenters, farmers, mechanics, artists, administrators and social workers. All of the homes strive to be self-sufficient and most operate their own schools, clinics, gardens and farms. What the homes are unable to provide is donated by caring friends worldwide like Barbara and Don Liem. Mona founded Share Your Soles, a charitable foundation that distributes clean and gently used shoes to impoverished people throughout the world. In 1999 she traveled through Central America and saw children painting tar on the soles of their bare feet so they could run a race during their village festival. She happened to meet an American orthopedic surgeon who was visiting the village. 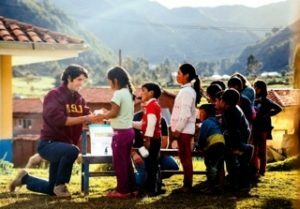 He told her that if these children had shoes there would be a lot less need for him to travel to the region to perform amputations of children’s infected limbs. Upon her return home, Mona collected used children’s shoes from neighborhood schools, families and friends and at Christmas time delivered them to an orphanage in Honduras. 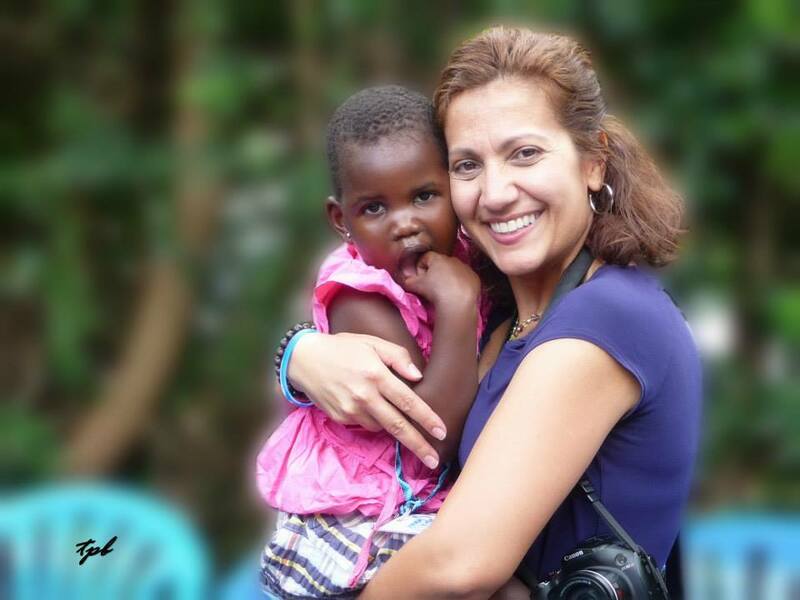 Mona’s life was forever changed when one of the orphanage workers asked her “When are you coming back?” Today, thousands of volunteers clean and prepare the shoes and airlines, corporations, and embassies help with the transport and Mona’s shoes are helping people in need all over the world. Cindy is a life-long humanitarian. 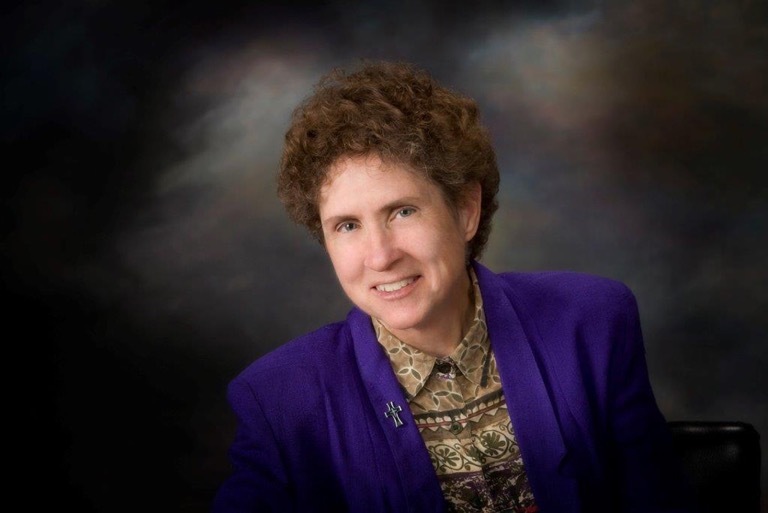 In the 1990s, she founded the American Voluntary Medical Team that organized missions to disaster-struck or war-torn third world countries and completing some 55 missions. In 1991, the AVMT went to Bangladesh to provide assistance after a cyclone. It was here Cindy found a baby girl who would have died without medical treatment. She brought the baby and another child in desperate need back to Arizona and the McCains then adopted the baby, Bridget, who is now a happy and healthy 18-year-old. 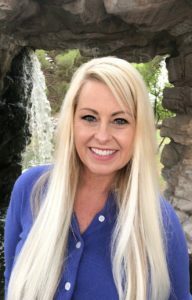 Cindy also sits on the Board of Operation Smile, an organization that mobilizes volunteers worldwide to repair childhood facial deformities, has participated in medical missions to Morocco, Vietnam and India, and serves on the Boards of Directors for The HALO Trust which works to remove land mines in war torn areas. 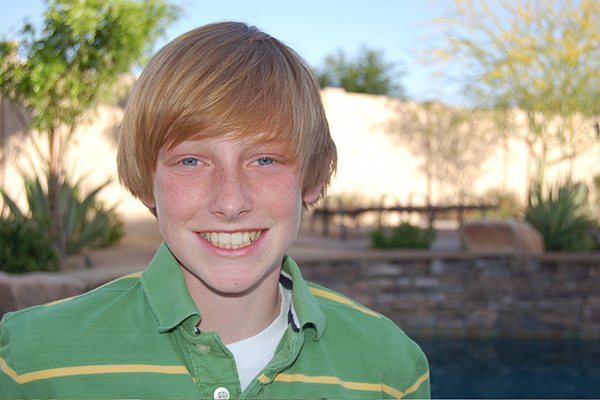 Austin was only nine years old when he learned that 2,057 children were orphaned every school day by HIV-AIDS virus. He wanted to help, so he started a basketball shoot-a-thon in his neighborhood and then shot 2,057 baskets. He quickly raised some $3,000. 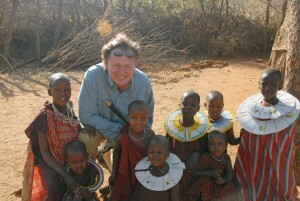 He then partnered with World Vision, an international relief organization, and founded Hoops for Hope. Today, Hoops of Hope has raised millions of dollars and continues to build schools, hospitals and clinics to help the sick and impoverished people of Zambia, Africa. Sometimes one person can make a difference……and sometimes that one person is a child. Hoops of Hope. Dr. James Jackson- Project C.U.R.E. 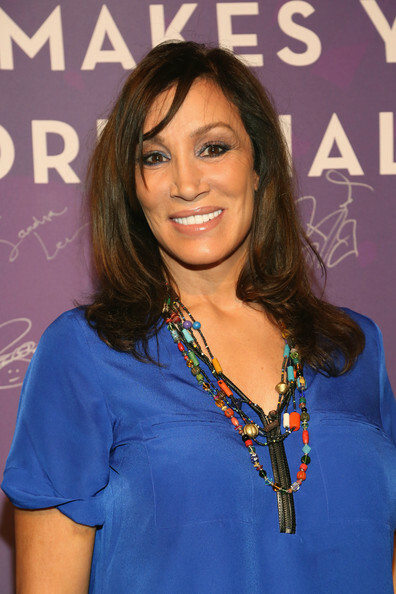 Irma was a successful advertising executive who then began to offer specialized tours to remote areas of the world, especially in Africa. As she began to see the great need for health care, for education, for basic needs such as animals to replenish family herds after drought, she went to work. She asked herself, “who will help these people?” The answer: Turtlewill, the Foundation she started. 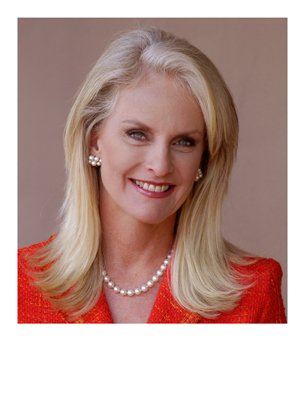 She has raised millions of dollars to build schools, hospitals, medical clinics and continues to “make a world of difference.” Turtlewill Foundation. Hans grew up in war torn Germany and has always been a friend of America. 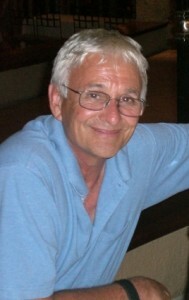 He embraced the Sister City programs with Tempe and with other cities around the world. As a successful businessman he could have lived in opulence. He chose instead to share his success. 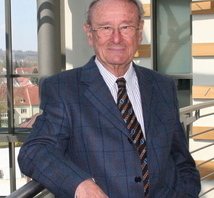 He has donated millions to the University of Regensburg for scholarships. He led a book drive for Odessa, Ukraine when he learned all of the city's books had been destroyed by Communists. More than 1,000,000 books were collected and trucked to Odessa at his expense. There are many instances where he is "Making A World of Difference". Would you like to be informed about the Making a World of Difference award recipients? Receive our Tempe Sister Cities email newsletter to hear about our organization’s upcoming activities, including our "Making a World of Difference" awards banquet.